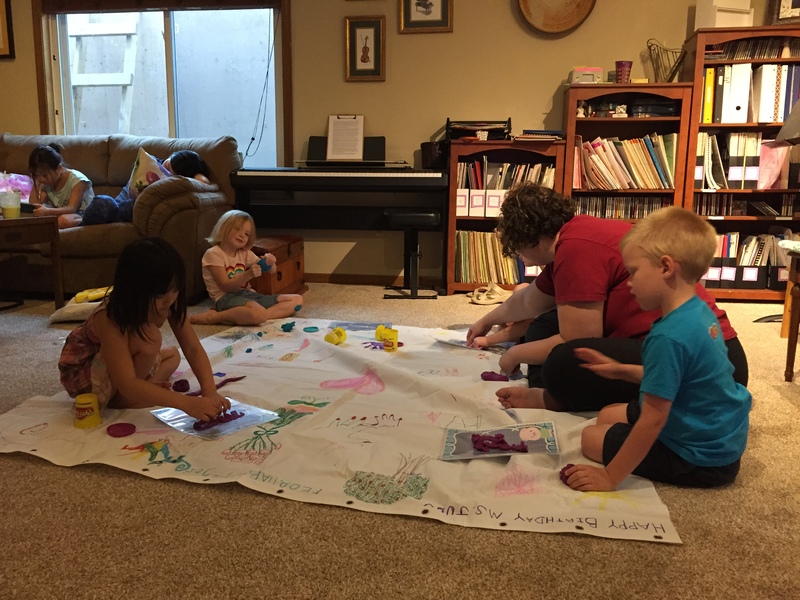 You are here: Home / Teaching Preschool / Most Engaging Group Lesson for Pre-K…under $2! 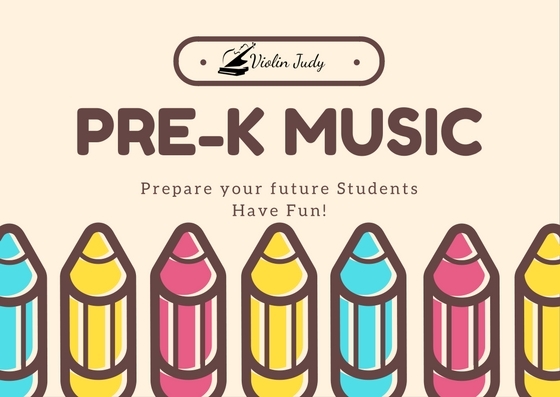 If you give Violin and Piano instruction to preschoolers, you’ll know that it can be tricky to combine group lessons! Here is a great, easy and affordable group lesson that you can pull off with little prep, very few supplies and the kids will have a great time! 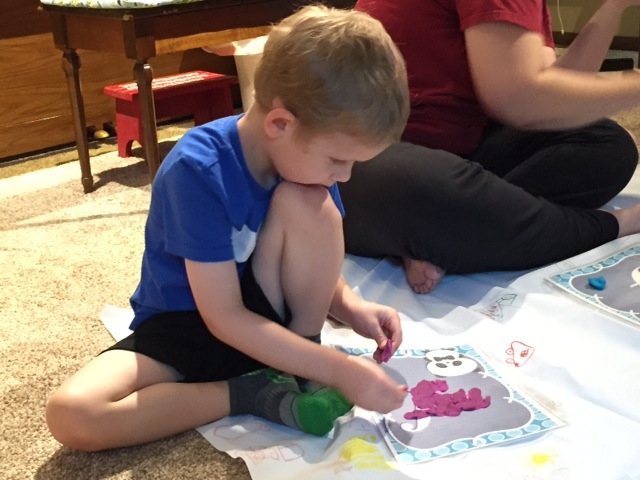 For July, My Theme was “Doughy Dynamics.” This group lesson plan is designed for ages 3-6 (and really anyone who doesn’t know dynamics/needs to review dynamics and loves play-doh!) and I combined Violin and Piano Students in this group! 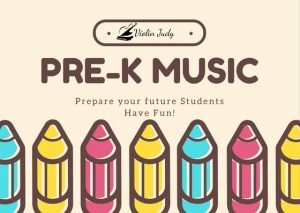 You can have this group for Violin or Piano students alone, or it also makes a nice lesson plan for an early grade school music teacher. The current fee is a paltry $3.00 and totally worth it! You may want to check out her other products, she is my favorite Teachers Pay Teachers Seller. This resource is free, however she accepts donations via paypal. The first 15 minutes of the group was putting the clay onto the tracing sheets (while sitting on our floor protector, (which is actually a shower curtain we decorated at my group lesson birthday party,) and while we did this I talked about what “dynamics” means and kept the kids taking turns repeating or defining the preschool version of their dynamic…e.g. mezzo piano, kind of soft. I also had the students use a soft or loud voice to answer when I asked them what dynamic they had. We ended this part of the group lesson with me asking them what dynamic of sounds or music they like, and then I asked them to “tell on mom (or dad) and what kind of music they listen to while driving in the car…” this received some giggles from even my most serious student! ready to borrow) and each took a turn hiding in the bathroom while the group hid the stuffed animal! Then we chanted the name of the animal, piano when the child was “cold” and finally forte when they were “hot.” If you have time, don’t forget to include yourself and have them hide your stuffed animal friend! How did I do it under $2? I actually held this group for free! I (like you may) had all the supplies purchased, even the play-doh (which is always kept on hand at our house, with a 4 year old living here!) I charge a very low fee for my group lessons to promote attendance (my goal is less than a Starbucks per child) and because I’d be doing these activities with my own child anyway. I used materials I already had and got creative! Even if you still need the Tracing Sheets $3, Clay (less that $1 per LARGE can-you could even get smaller cans or split them…I let each child take their can home) and Donate say $2 to Susan Paradis, you will have this group for a total of around $8 for 4 pupils, which works out to $2 per student. You may need to purchase the other materials, or pay for studio use, but because I don’t I didn’t factor those in. and you can download and read this book on ANY device like your ipad, computer, laptop, tablet, ect. How cool is that!? Please note that all amazon links on this blog are referral links, which means I recieve a teeny tiny eensy weensy part of the profits, which do go towards keeping this site up and running. I only post links to products I own, enjoy, use and recommend! Thanks for your support!